Select Control Surfaces from the left column of options. 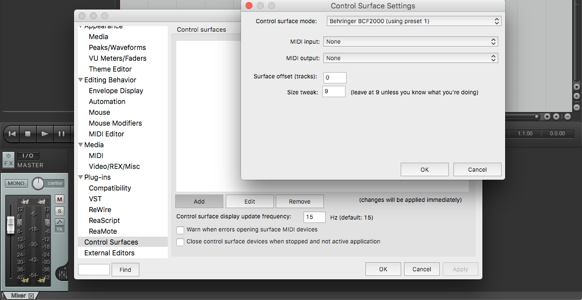 Click on ‘Add’ to define a new control surface. 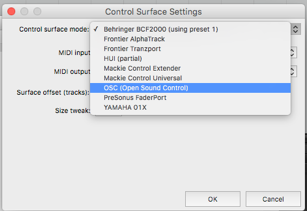 Choose ‘OSC (Open Sound Control) from the ‘Control surface mode:’ dropdown menu. 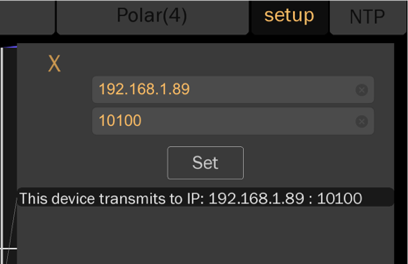 Activate ‘Receive on port’ and define the port number e.g. 10100. 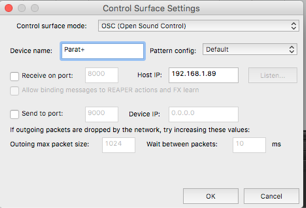 PLEASE NOTE: Parat+ will only display this info if your iOS device is connected to a network. 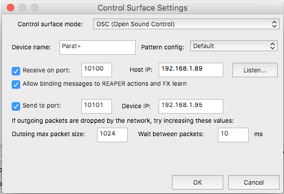 If you wish to enable the ‘Learn’ functionality for FX available in Reaper, ensure that ‘Allow binding messages to REAPER actions and FX learn’ is checked. 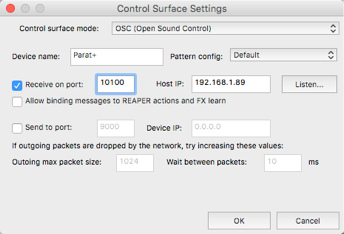 Confirm your entries and close the Reaper Preference window. 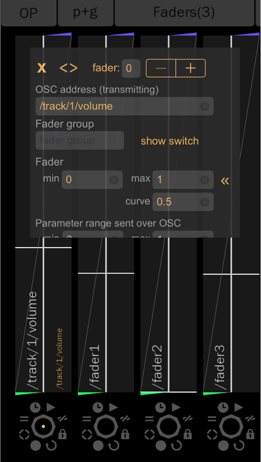 /track/2/volume will control the volume of your second track etc. 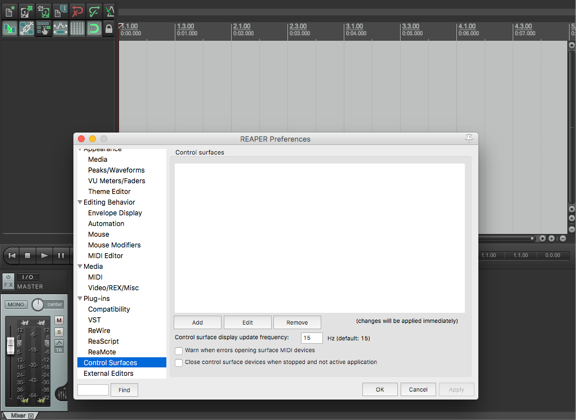 To setup the faders in Parat+ double tap on the Option Wheel to open the fader Detail Edit Window.